Some time ago I posted a blogpost abut Top 5 OAuth 2 Implementation Vulnerabilities. This week I have extended the list while presenting Top X OAuth 2 Hacks at OWASP Switzerland. This blog post (like the presentation) is just a collection of interesting attack OAuth related. The client MUST NOT use the authorization code more than once. If an authorization code is used more than once, the authorization server MUST deny the request and SHOULD revoke (when possible) all tokens previously issued based on that authorization code. ...if the "redirect_uri" parameter was included in the initial authorization request as described in Section 4.1.1, and if included ensure that their values are identical. Should you fail to do it, this in combination with Lassie Come Home below is game over (even for implementer that support only the Authorization Code Grant flow). If you want to implent OAuth Authorization Server and follow verbatim the OAuth core spec you might end up having an Open Redirect. Full story here . Interesting attack here . #7 Native apps - Which OAuth flow ? It is NOT recommended that native applications use the implicit flow. Native clients CAN NOT protect a client_secret unless it is configured at runtime as in the dynamic registration case (RFC 7591). If you do not follow this suggestions then you risk this. People tend to be indiscriminate on what copy and past in public forum when searching for answer (e.g. Stackoverflow). If you are an OAuth client that use OAuth for authentication (do NOT). 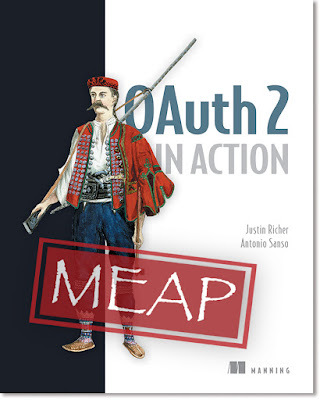 If you absolutely have to, you'd better read User Authentication with OAuth 2.0 . Specially if you are using the OAuth Implicit Grant flow (aka Client side). ....and the winner is (again) 'Lassie Come Home'. Well this is hell of a danger. BTW the slides are here. 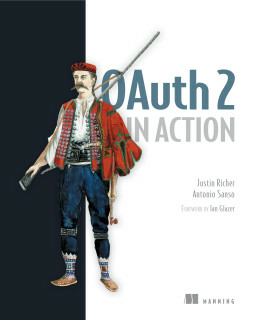 If you like OAuth 2.0 and/or you want to know more about it here you can find a book on OAuth that Justin Richer and myself have been writing on the subject. tl;dr https://sites.google.com suffered from a Billion Laugh Attack vulnerability that made the containerized environment to crash with a single invocation. The rule #2 of any bug hunter is to DO NOT be to fussy with 'food' specifically with "left over"
tl;dr The OpenSSL 1.0.2 releases suffer from a Key Recovery Attack on DH small subgroups. This issue got assigned CVE-2016-0701 with a severity of High and OpenSSL 1.0.2 users should upgrade to 1.0.2f. If an application is using DH configured with parameters based on primes that are not "safe" or not Lim-Lee (as the one in RFC 5114) and either Static DH ciphersuites are used or DHE ciphersuites with the default OpenSSL configuration (in particular SSL_OP_SINGLE_DH_USE is not set) then is vulnerable to this attack. It is believed that many popular applications (e.g. Apache mod_ssl) do set the SSL_OP_SINGLE_DH_USE option and would therefore not be at risk (for DHE ciphersuites), they still might be for Static DH ciphersuites.